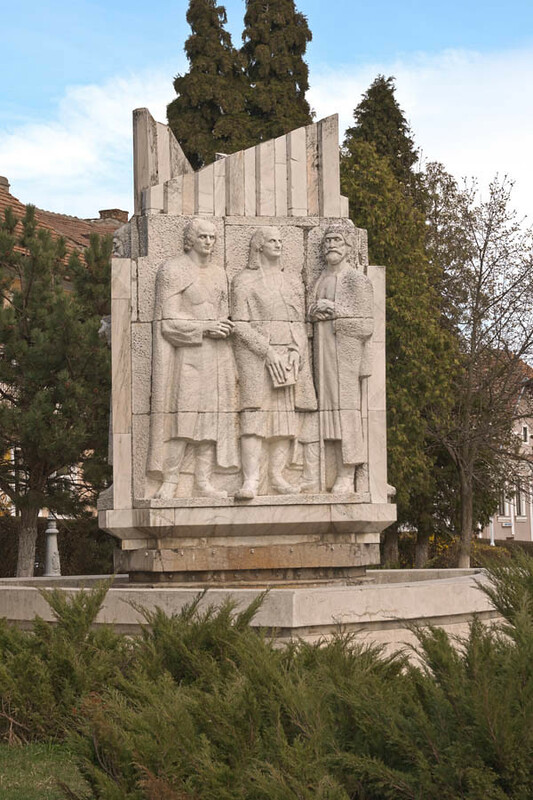 The Palia monument was unveiled on September 28, 1974, to 750 years of historical record of the township. 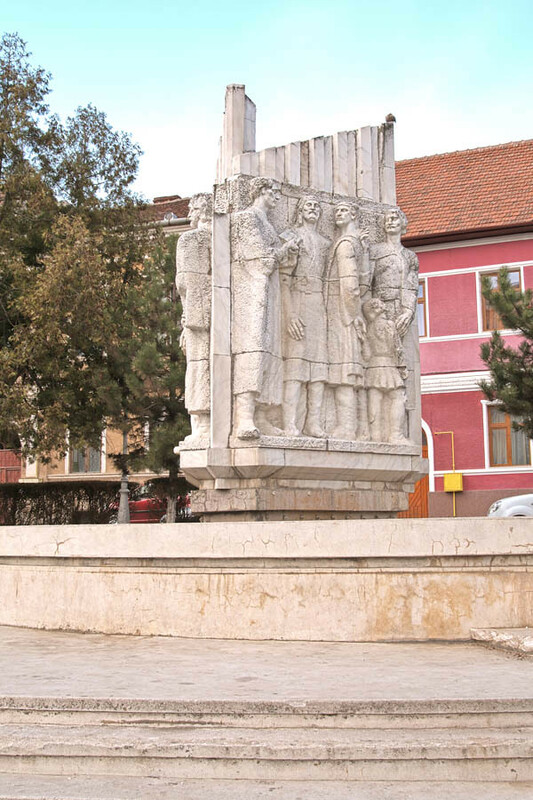 Sculptor Nicolae Adam, who carved the monument, wants to symbolically represent the three-sided idea of printing a book. On the first side are the scribes who meditate on the need to develop the Romanian language through printing. On the second are those responsible for the winepressing of the book: Serban Coresi and Marian. There’s also a figure of a man of the people, proud of the value of the book. 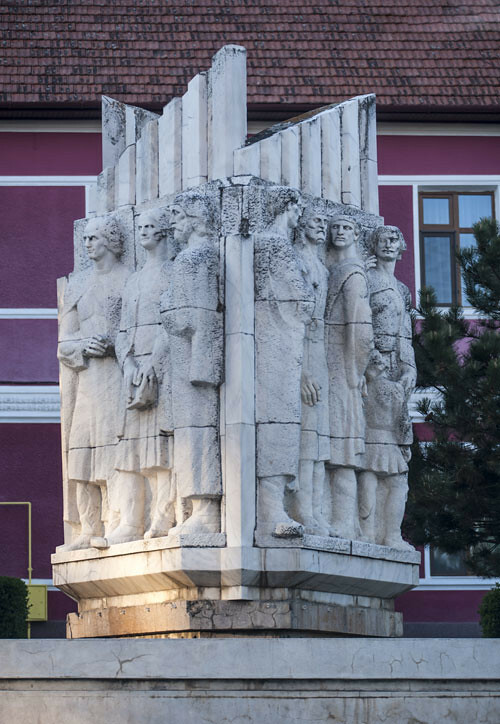 The third side of the monument symbolizes the usage of the book as a way of promotig the Romanian language among the people, with the purpose of teaching. 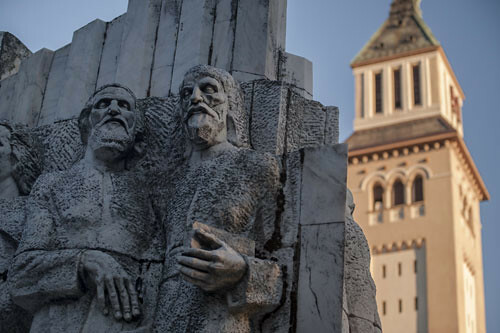 The presence of a child among the scholars and the common people foreshadows the next generations who developed the Romanian language on these lands. 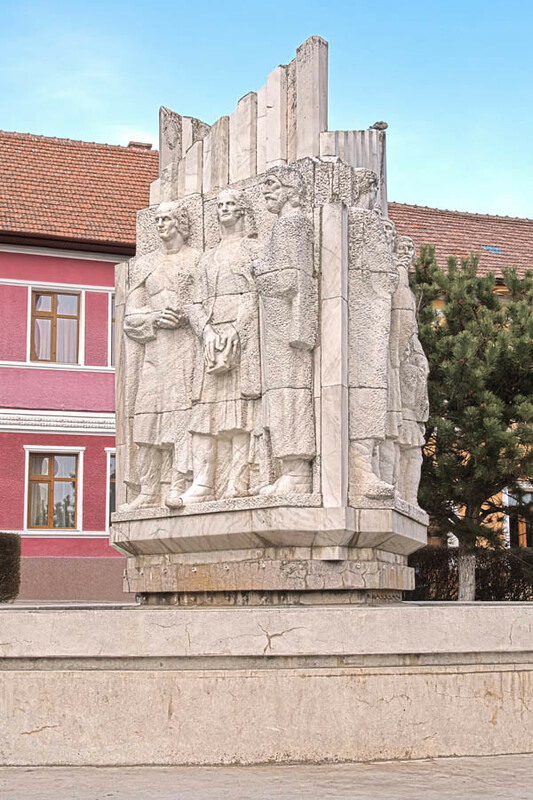 The monument is carved in white Ruschita marble, and is 6 meters tall, the figurative part being 3 meters tall.